At Premier Dental Care in Oak Hill, we tell all of our patients that preventing dental diseases and conditions starts at home with good oral hygiene and a balanced diet that is low in sugar and high in fiber. Prevention also includes regular dental exams every six months or as often as prescribed by Dr. Bakhtyari, routine cleanings, and X-rays when needed. Tooth sealants and fluoride treatments are also great preventive measures that help protect the teeth and the natural, beautiful qualities of your smile. As part of any good oral care plan, a preventive maintenance program serves to avert the onset, progress, and recurrence of various dental diseases and conditions. 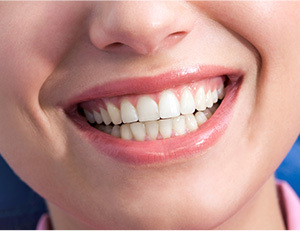 This plan can also help you avoid serious and costly dental problems and support your healthy, confident smile. Overall, this approach is a cooperative effort by the patient, Dr. Bakhtyari, and our staff. If your family is in the Oak Hill, Reston, Mclean, or Great Falls area, you can schedule an appointment with Premier Dental Care today! By attending comprehensive checkups and cleanings every six months on average, our patients can ensure that their teeth remain strong and well-supported. Our team will review every aspect of your oral health, clear away plaque and tartar, and develop a comprehensive understanding of your smile’s current needs so that we can address any concerns effectively. The back teeth (also known as molars and premolars) are especially susceptible to dental decay because of their deep pits and grooves. The placement of dental sealants can provide these vulnerable teeth with some extra, years-long protection, as they will block out food particles and bacteria from settling there over time. A significant part of achieving lifelong oral health is maintaining a diligent and effective hygiene routine at home. This includes brushing at least twice each day, flossing once a day, and using high-quality products. Our Oak Hill team can provide helpful guidance in determining the best methods for maximizing the success of this approach. Bruxism (more commonly known as habitual teeth grinding) affects countless people from all walks of life, and untreated cases can lead to severe dental damage and chronic pain over time. 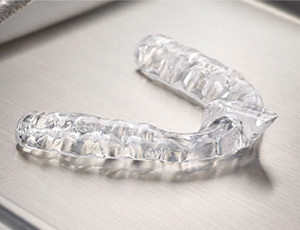 At Premier Dental Care, we can provide a custom-made nightguard that will protect your smile from unconscious harm as you rest easy until morning. Suspicious sores, lumps, and red/white patches in your oral tissue can suggest the presence of cancerous cells, and Dr. Bakhtyari will strive to identify them as soon as possible during regular checkups. Oral cancer claims thousands of lives a year, many of which could have been avoided if their case had simply been identified much sooner. 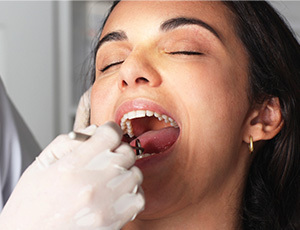 By integrating oral cancer screenings into examinations, our goal is to provide solid diagnoses to patients in need and maximize their chances of a safe and successful recovery. Fluoride is an inherently valuable mineral that can improve oral health through exposure – that’s why it’s found in countless oral hygiene products and most community water supplies. Dr. Bahktyari may recommend undergoing professional fluoride applications during regular checkups so that your smile is stronger and less prone to decay over time. Whether you’ve experienced a sudden injury that dislodged a tooth or are suffering from severe, unexplained dental pain, Dr. Bakhtyari can lend a helping hand in the form of fast emergency care. Our office makes time for these cases as soon as we possibly can in our schedule so that you aren’t left waiting for relief.